Your child has a story – and it’s not necessarily the same story as the other children at his preschool class or in her playgroups. Your child is adopted. For some children, this fact is obvious– compared with the blue-eyed, blonde-haired family members, your Chinese-American daughter is often identified as ‘different’. These families wonder how to talk about adoption with their children in a way that helps them foster a positive identity, rather than constantly feeling different. For some families, it is less obvious. Maybe you look enough like your child that unless you brought it up, no one would expect your son was adopted. These parents often ask when to bring up adoption to the child – when is the right time? The idea of talking about adoption to a child can stop even the seasoned parent in his tracks. What if my child asks a difficult question? What if she is upset? What if he wants to know more about his birth family? Whether adoption has always been celebrated in your family and your son suddenly asks a difficult question, or you are still wondering when to bring up the topic with your adopted daughter, this article aims to provide some ideas and support. The first step is to relax. It’s easy to become overwhelmed by the idea of broaching such a large topic with your child, and to immediately think of all the ways it can go wrong. Instead, find time to talk to your spouse or a trusted friend (outside of your child’s earshot) about your fears and expectations about having this conversation with your child. 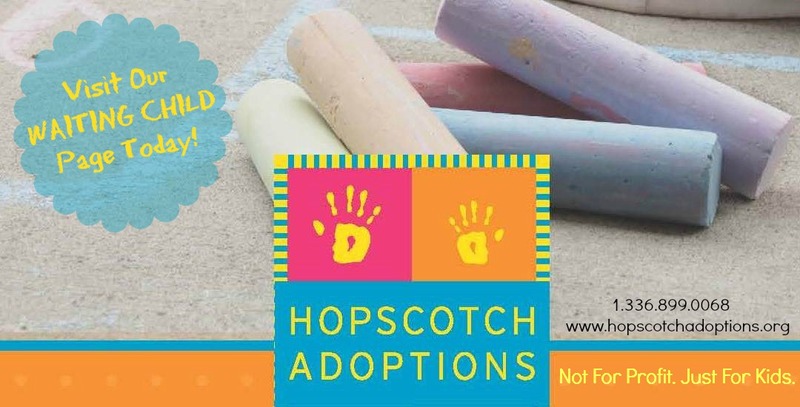 What do you want your child to know about adoption? What are the basic keys that you think she should know? What are you afraid he’ll ask? Talking it through with another adult will help you feel more comfortable with the idea, and help you prepare for how you can best bring up the topic with your child. Decide what to share now, and what can wait for a follow up conversation. Children, especially young children, may not have the attention span or ability to process the whole story at once. This first talk may introduce the idea and open the door for more conversations later. When is the right time to talk about adoption with your child? As far as age is concerned, experts suggest opening the idea of adoption to your child by age 3, if not sooner. In other words, keeping the topic of adoption open from day one is the best. Maybe in your family you keep pictures of your adoption trip on the coffee table and look through them regularly. Maybe you have a toy or two that you make sure your child knows came from China when she was adopted. Some families make a point of celebrating ‘gotcha’ day every year, and revisiting their child’s adoption story. The idea is that even from a young age, your child knows the bare-bones basics of their adoption story. 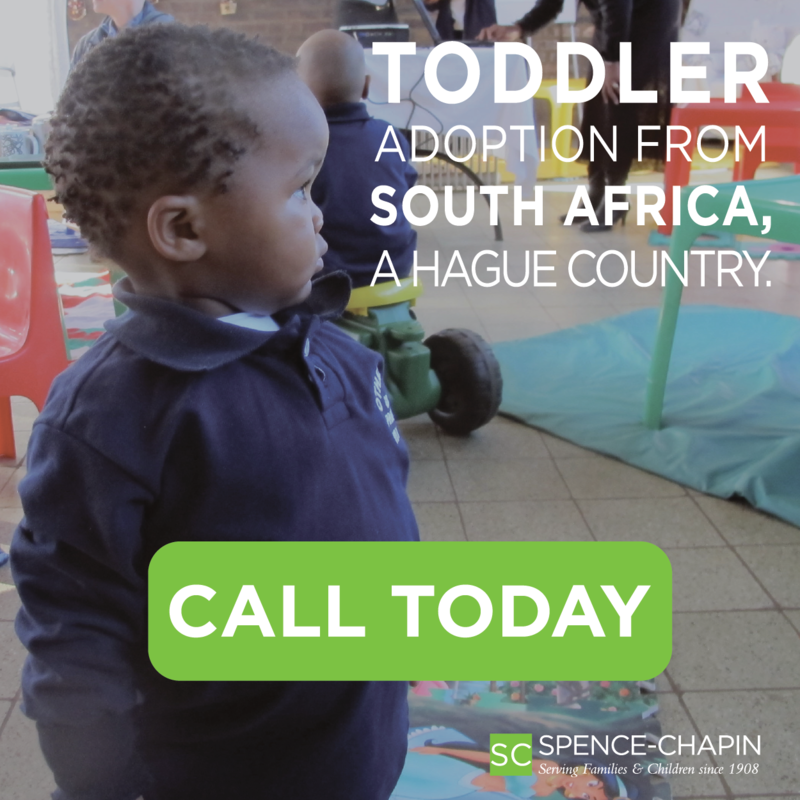 Does your 3 year old really understand adoption? Probably not. However, if the topic has been open from the beginning, later conversations will go more smoothly without the initial shock of finding out everything they thought was true, really isn’t. It can be difficult to find the right time to bring up the topic with your child, especially if it has rarely (if ever) been discussed before. Try to find an opening. Preschool aged children will often provide a great opportunity when a teacher, family member, or close friend is pregnant, and begins to ask questions about where babies come from. Perhaps you watch a program on TV that opens the topic. Not every family, though, are provided a way to ease in to the conversation. A great way to create an opening is to use children’s books. A couple of our favorites are Tell Me Again About The Night I Was Born by Jamie Lee Curtis and I Love You Like Crazy Cakes by Rose Lewis. Read the book with your child, and use it as an opportunity to talk to your child about the different ways families grow, and how their story is unique and special. The most important thing is to find a time and a way that fits for you and your family, and to talk about it. There won’t be a perfect time, and it will only become more difficult the longer it is put off. o These children are curious about the world as a whole, and ask many questions about everything they encounter. Why is the sky blue? Why do fish swim? Why was I born in China? Questions about adoption are not likely deep emotional questions, but rather queries about how the world works and how it applies to them. o Developmentally, these children have a limited vocabulary and do not think about the world in a concrete manner. Simple, straightforward answers that they understand are best. Expect your child to ask the same question multiple times as their understanding of the world and their vocabulary expands. Example: Why didn’t my birthmom keep me? She couldn’t take care of any baby, and wanted to find a good family for you. o These children have developed a sense of themselves, their families, and their worlds. They have also become concrete thinkers and understand cause and effect. This often results in what is called ‘magical thinking’ – things that happen in the child’s life that they can’t explain might be their fault. The question “Why didn’t my birthparent keep me?” is now a question about them –what is wrong with the child that the parent didn’t keep them? Many children believe if they were pretty enough, smart enough, hardworking enough, talented enough – generally, good enough – the birthparent would have kept them. It’s important to emphasize to the child that their birthparents could not care for any child, and that this was an adult decision that had nothing to do with the child. o Children in this age want to know the specifics of their adoption, and often ask many questions to understand the process of adoption as well as the reasons for it. Be careful not to assume the reason for the question or what answer the child wants. It can help to get in the habit of asking, “Why do you ask?” It may help you understand exactly what is going on in your child’s mind, and what way you need to answer. o Keep track of what is going on at school. Many children are asked to do family tree projects or genealogies in elementary school, and this type of project can bring up a lot of anger, resentment, or sadness in children. Children this age realize that ‘special’ means different, and this is a key age for your child to feel he or she fits in. Many parents call for help when their 7-9 year old begins acting withdrawn or angry, and find their child is struggling with understanding how they fit in with the adoptive family and feeling different at school. Adoption support groups can often help with this if it is beyond what you feel you can handle at home. o Explain the details you know, and give information about the general conditions you are aware of. Open a conversation with your child so that they feel comfortable exploring the areas that are important to them, and give whatever details you feel comfortable sharing in a way that takes the pressure off of your child, but explains the situation clearly. Empathize with your child’s feelings about the subject. o Preteens may become more curious about adoption and ask more in-depth questions, or they may become silent on the issue. As children get into their preteen years, issues may be less related to their adoption as to their age. Preteens continue to want to feel like they fit in, that they are loved, and that they are capable. They also want to know that they are enough, just as they are. Affirming the ways they are the same as the adoptive family and possibly like their birth parents (we’re both good at writing, and you must get your artistic talent from your birth parents) can help your child feel that they are part of the family, but also appreciated for their uniqueness. o Self-esteem is a major factor for preteens and teens. Feelings from younger years that they weren’t enough for their birthparents may play out as extreme perfectionism in older children. Help your child to understand your unconditional love for him or her, no matter what. o Preteens and teens often become very aware of the losses surrounding adoption. They’ve lost being part of a ‘normal’ family, their birthparents, their status as a typical teen, etc. Helping your child understand and cope with these losses will help them develop life skills and come to terms with their story. o Understand that anger is almost always a secondary emotion – it is often felt in place of sadness, hurt, or another more difficult emotion. Your teen’s anger may be a mask for a more difficult feeling they are coping with as they understand what it means to be adopted. Bottom line: be willing to talk, and take the initiative to bring up the topic to your child. Open communication will help you understand what your child is thinking and feeling, and will provide you an opportunity to be a support. Don’t expect to have the right answer, but rather share openly and honestly with your child (in an age-appropriate manner) to communicate that you care about them, and that you know this is an important part of who they are.